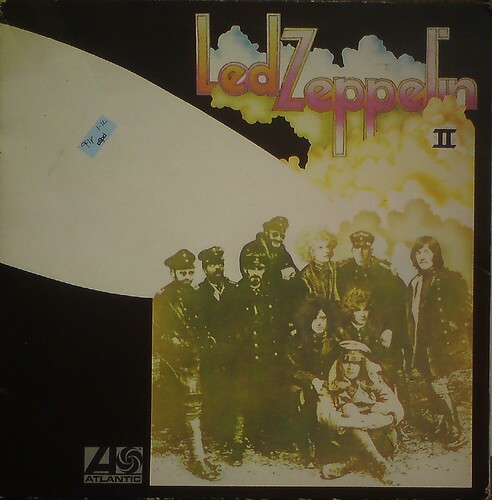 Anyway, I was really pleased to get this near-immaculate copy of Led Zeppelin II for 99p. It’s definitely not a first edition, but I suspect it is an early 70’s pressing, with lovely gatefold. Staple Hill pdsa by any chance? good guess! yeah i remember when they were all 49p in there. shame..
Is the cover dull, textured cardboard or thin and shiny? Latter is earlier issue.